Block Tanya (mom's small victories)? This will prevent Tanya (mom's small victories) from sending you messages, friend request or from viewing your profile. They will not be notified. Comments on discussion boards from them will be hidden by default. Sign in to Goodreads to learn more about Tanya (mom's small victories). We’d love your help. Let us know what’s wrong with this preview of The Sugar Queen by Sarah Addison Allen. We’d love your help. Let us know what’s wrong with this preview of How to Walk Away by Katherine Center. We’d love your help. Let us know what’s wrong with this preview of The Demigod Diaries by Rick Riordan. We’d love your help. Let us know what’s wrong with this preview of The Lying Game by Ruth Ware. 4* - I Really Liked It! - The Poisonwood Bible by Barbara Kingsolver is gorgeous, lyrical, yet brutal and intense. I truly understood what life was like in the 1960's for the Prices, a missionary family living in the Congo in the 1960's. I pick up th 4* - I Really Liked It! - The Poisonwood Bible by Barbara Kingsolver is gorgeous, lyrical, yet brutal and intense. I truly understood what life was like in the 1960's for the Prices, a missionary family living in the Congo in the 1960's. I pick up these books set in other cultures to get a true sense of what life is like there. In many cases, I'm disappointed that the author doesn't paint a detailed enough picture about the location and culture. Not so with Barbara Kingsolver. A highly recommended and unforgettable read. We’d love your help. Let us know what’s wrong with this preview of The Poisonwood Bible by Barbara Kingsolver. 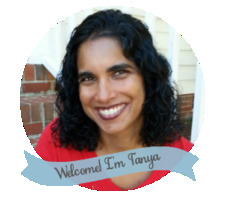 Tanya (mom's small victories) has read 9 of 52 books. Tanya (mom's small victories) read 53 books of her goal of 52! Take a look at Tanya (mom's small victories)’s Year in Books. The good, the bad, the long, the short—it’s all here.